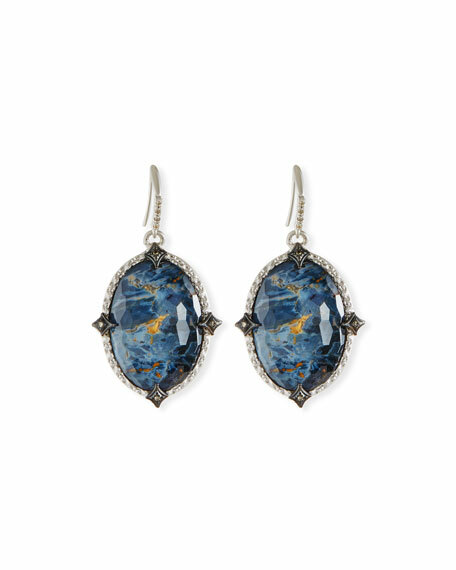 Armenta earrings from the New World Collection. Oxidized and blackened sterling silver. Faceted blue Pietersite and white quartz doublet. Champagne diamond trim with four crivelli crosses. 31.11 total Pietersite carat weight. For in-store inquiries, use sku #2332849.